If you are an iPhone user, you would’ve probably played the game “Words With Friends” before. It’s a turn based Scrabble game which you can play at your own pace with your buddies. Zynga, the guys who brought you Words With Friends, is now back with another exciting game for you to fill time, get close to your friends and gain knowledge at the same time. It’s called “Hanging With Friends”. I love the fact that I can play the game anytime when I’m free. Once I place a word, the friend will get to guess it anytime they want. Once they are done, I get to guess their words whenever I have the time. At this time Hanging with Friends requires iOS4+. If you are still running an old version of iOS on your device, please sync with iTunes and get the latest device update. Hanging with Friends; iPhone; FREE. 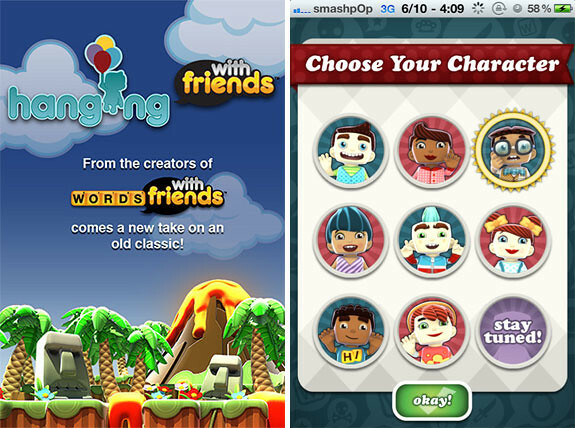 Hanging with Friends (without Ads); iPhone; $0.99. 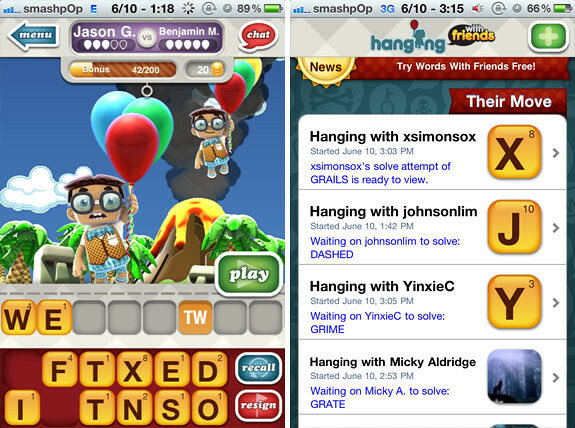 One Response to "‘Hanging with Friends’ for iPhone Brings New Twist To Classic Game Hangman"